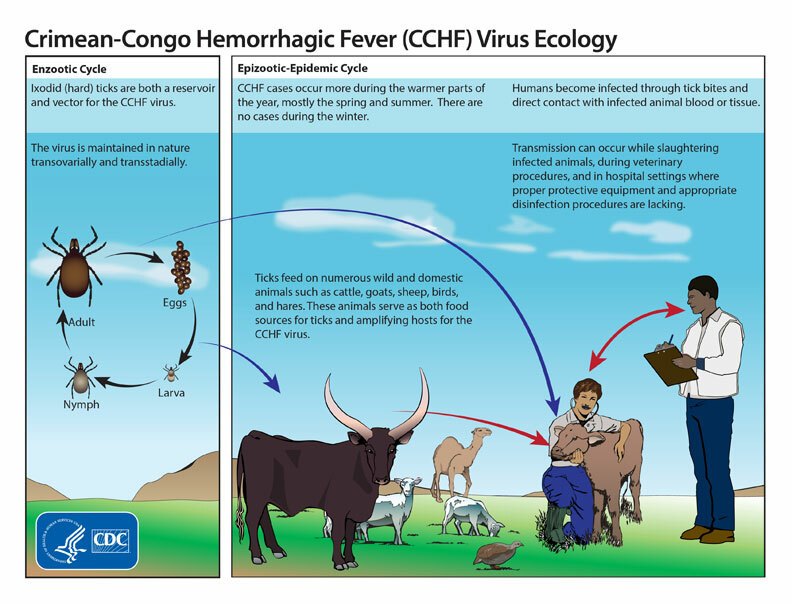 This graphic shows the life cycle of the Crimean-Congo hemorrhagic fever virus. Hard ticks are both a reservoir and vector for the CCHF virus. Humans become infected through tick bites and through direct contact with infected animal blood or tissue. The ticks feed on numerous wild and domestic animals, like cattle, goats, sheet and hares. Transmission of the virus can occur during slaughtering of infected animals, during veterinary procedures, and in hospital settings.